The film starts out with Jake Blues (John Belushi) being released from prison, picked up by his brother Elwood (Dan Aykroyd) in a used cop car turned “Blues Mobile”. They make good on a promise to visit the orphanage they grew up in, only to find it is in danger of being shut down, due needing $5,000 in tax money owed. 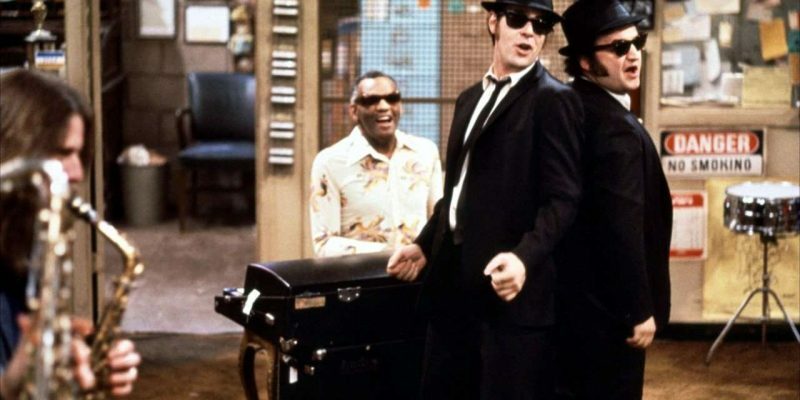 With only days to go before it is too late, the Blues Brothers are inspired by a vision from God to save the orphanage, which they plan to do by reuniting the band they played in. This proves to be a tough task, as all of the members have moved on to other occupations. Not only this, but along the way, they manage to piss off the police, the Illinois Nazi Party, and just about everyone else they come across in their bid to make enough money to deliver by the deadline without getting caught, or worse.